I am presently on holiday in Cornwall, yesterday we were visiting some frends who have access to and use of a large tract of land in a valley bottom, it is overgrown, (very) and some parts of it are very hard to get to because of the dense undergrowth and trees. We were sat having tea, when Emma casually mentioned that she had two "ponds at the far end of the property, my interest was immediatley aroused, she described them, and said if I was interested she would take us to see them. After a protracted, scratchy and very difficult twenty minute walk,through the jungle we arrived. The two ponds are actually one, with a narrow, part between the two with an old wooden bridge across. 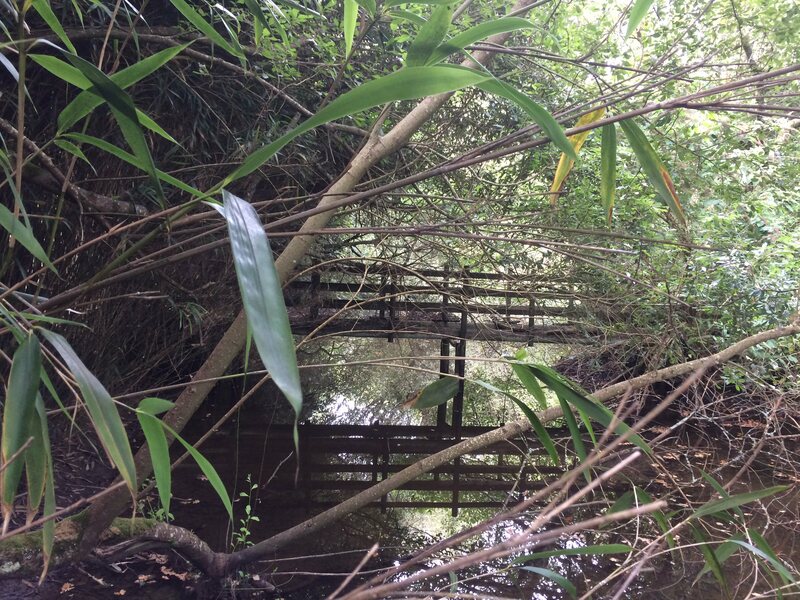 Much of the area is very overgrown, the pond is silted at one end, but has quite a few deeper areas, the bridge is in danger of collapse. It was earilly still when we visited, the sun dappled through the trees, all was silent apart from the odd bird call. I stood looking at this place in wonder , suddenly there was a loud "Glooping " noise, a fish had surfaced under some trees, how big, I dont know. You can see from the pictures exactly how much undergrowth there is to contend with. Access to this piece of heaven, is two miles down a little used country lane, , off the lane onto a little used rough, overgrown farm track, at the end of the track there is an ancient and overgrown path, just about visible. Follow the path, until it peters out, then its jungle warfare for about 500 yards. Anyway,now I have unlimited access to fish this place.... the problem is I live 350 miles away, access is all but impossible , and to explore with a rod would be very difficult indeed.It cannot be seen on Google earth, due to the woodland around. So I may well have my own "Redmire" but it is unlikley that it will ever see an angler .I certainly wouldnt like to attempt to make any access to the area, it would take determination, time, a lot of effort and a lot of travelling to do it. Wonderful! 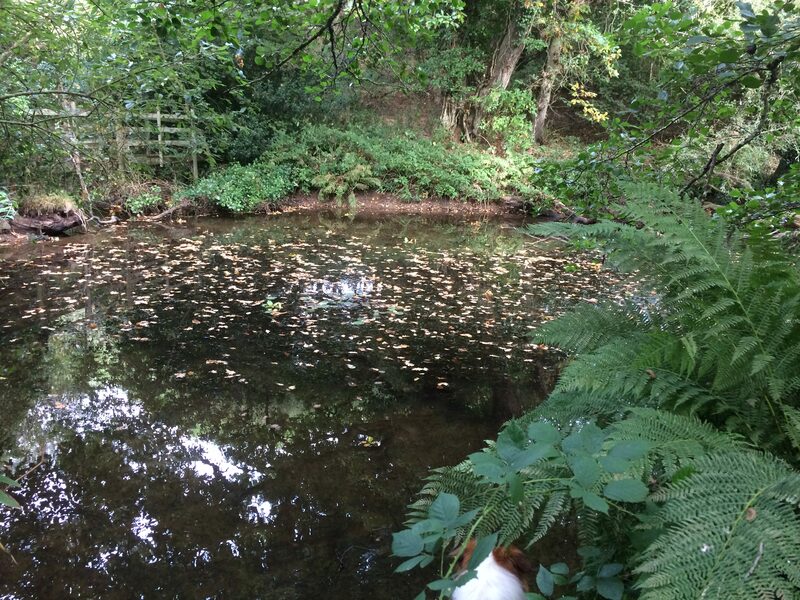 It's amazing just how many of these overgrown 'secret' ponds there are around. I came across 2 recently near to my work which are so overgrown as to be not visible from very nearby or on Google earth. They probably hold fish but these were so overgrown with brambles and other growth I would have cut myself to pieces if I had tried to take a close look. Sometimes it is best to just leave these places to nature. Absolutely fabulous ! I can see a Secret Lake video in the making.......very envious OMR. Looks great there. I do hope you get in there for a secluded dangle, I can imagine the excitement of that first slurp and bend of the rod if you choose a floating enticer. Reading your post reminded me of a place I once knew but in reverse, a pond I used to fish for superb Tench was pretty clear apart from the vegetation that you could creep in between nd settle down.. sheer bliss it was. I returned there some time back and the lake had disappeared under a tree canopy and was totally overgrown in the water and on the bank and to top it off a shabby fence was in place. You could not get to it and even if you could you could never fish it. I drove away from there almost in tears and for your sake I just hope yours does not get anymore overgrown, so get in there whilst you can. Much as I would like to spend a few hours there, it is very unlikley to happen. 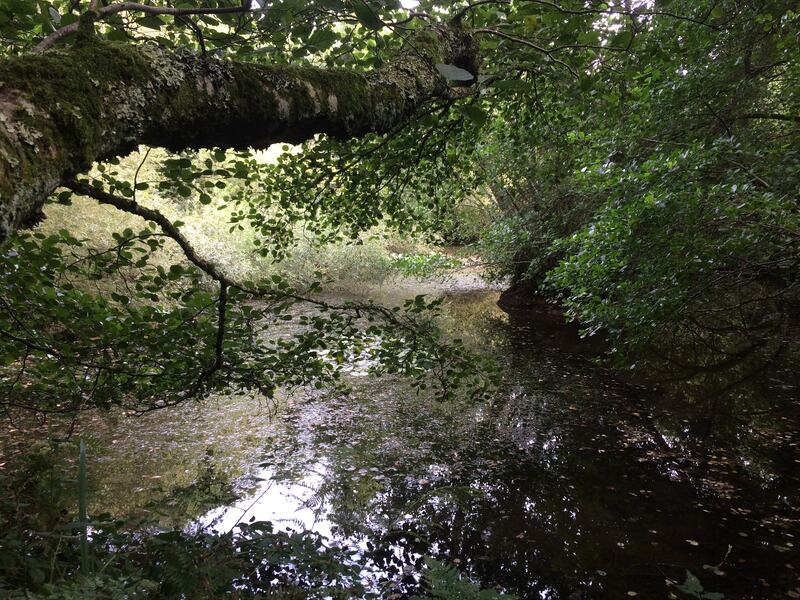 I only spend a limited amount of time in Cornwall, and putting aside a day to do a jungle recon patrol,is not really practical, plus the logistics of actually getting to the pond side with a short stalking rod, and finding a spot where it would be feasible to actually land anything would be extremely difficult. I think I did not actually emphasise exactly how difficult it is to even get to the pond, let alone fish it. Obviously in the dim and distant past, the place has had reasonable access, but nature has done a wonderful job of protecting the place. I am happy enough just knowing where it is , and I can very occasionally visit it , after making the correct preperations. Mozzie repellant, bandages, emergency rations, compass, flares, snake boots GPS locator, etc etc etc.. Almost forgot.... need a stalking rod as well. That looks a super place David - what a find - your certainly getting about on the break. Is this the Padstow outback by chance? Sort of Peter, I know people all over the place, its within 40 mikes of Padstow, so spitting distance really . For a fair few years my boundaries seem to have been expanding... I blame Norfolk on TFF. !! Not sure if Ruth will enjoy getting up close amd personal with Maggots, Worms, etc etc .. One can only try !